It was a strong weekend for Wreck-It Ralph as the Disney animated feature brought in half a million during its opening frame. However, before we get to that some house cleaning from last week. We missed out on an opportunity to celebrate Argo‘s rise to the number one spot last weekend. Ben Affleck’s film had a solid debut, but it was on the low-end of expectations. In the weeks following, Argo has been holding incredibly well for a movie that is playing on so many screens. Culminating in finally taking the top spot last weekend in an otherwise weak weekend. How did it do this weekend? Well since it wasn’t number one again you will have to wait to find out. 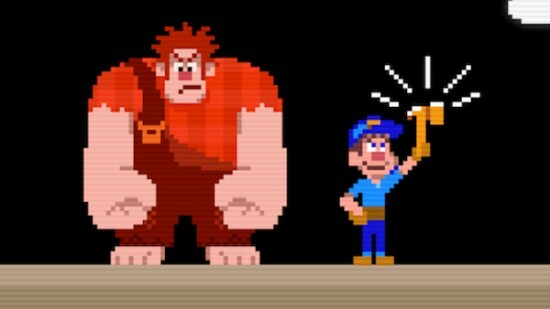 The winner this weekend was Wreck-It Ralph, another Disney animated feature that proves there is still some magic left in the mouse house proper. Coming out with nearly $50 Million, Ralph managed one of Disney’s biggest animated openings. Of course even those lofty numbers pale in comparison to the PIXAR average, but from the studios that brought us Home on the Range, this is great business. It’s pretty hard not to like Denzel Washington. Although, can’t say we were in love with Unstoppable, so there’s that. . . Putting that aside, a vast majority of the time when he’s got a new movie coming out, we take notice. His latest is Flight, wherin Washington plays a hero airline pilot with a secret. Don’t they all. There’s a new trailer for Flight out today. Check it out below. Look for Flight to arrive in theaters on November 2.